A friend sent me this link, with the story. 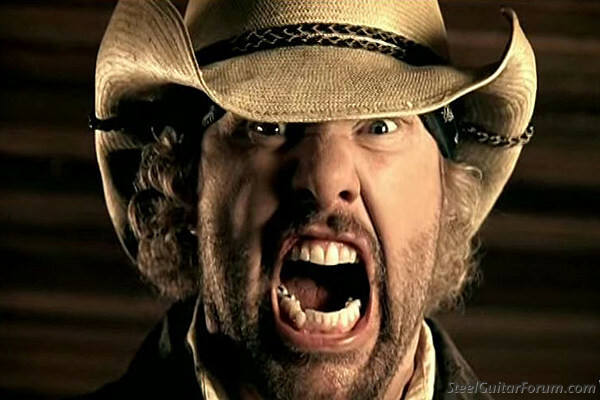 It starts with Toby Keith playing golf with Clint Eastwood. That sets the stage. 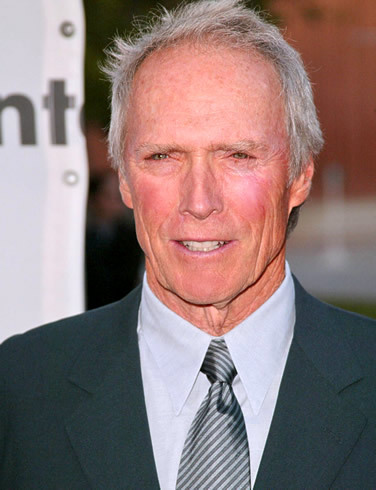 "I'm going to shoot a movie," Eastwood replied, filming scheduled to begin the following week. "Over the three days of playing golf, he told us what the movie was about. I didn't ask him if I could [contribute] a song, I just went home and wrote it, sent it to him and hoped that he would consider it. And, you know, he did." I's about to say that I'm not a fan of Keith but that really doesn't make any difference, and I might even see the film based on the video. I kinda liked the song. Went to see the movie as well. I agree, it's pretty good. Sets the scene, I think. Thanks Charlie, looks like my kinda movie, I do like Toby Keith, mostly his more serious stuff like that song. 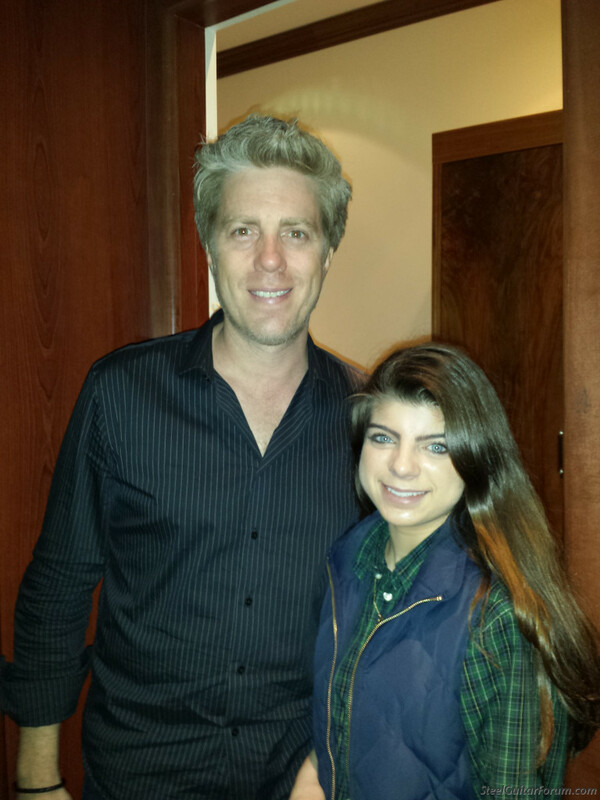 Just as a side note, I wanted to post this picture of my daughter and Kyle Eastwood, at the Blue Note in NYC a few years back. He was opening with his band for Larry Carlton, Kyle is A great bass player and is a spitting image of a younger Clint. 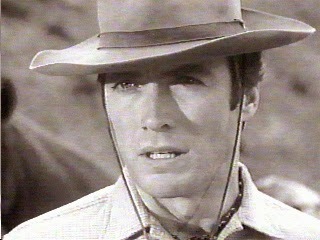 He also played in the move 'Honky Tonk Man'as his father's son in the movie. Very cool--for Larry, that is. Opening for Larry Carlton, not bad. 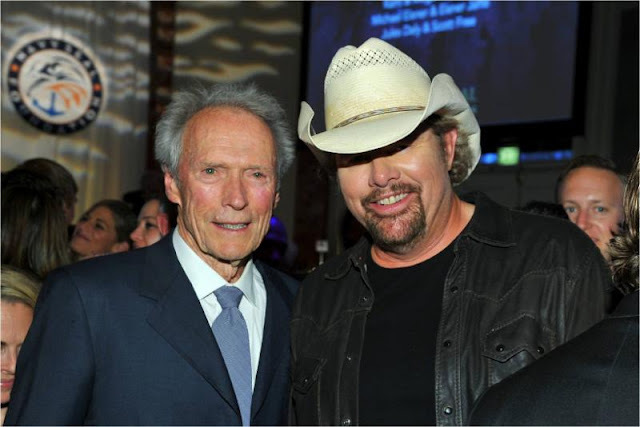 Toby is the go-to I'm as good once as I ever was..
Clint is a music fan-musician. He has his movies where he injects his take on a few tracks. Got to admire that. Ever note that in the Bible people lived longer than we do today? Not to be cryptic, there are those that feel we used to live for thousands of years. But something to do with objects in space that like a clock, come around and make us age faster. Must be gravity or some cosmic force. You know we can't rule that out living on this dustball in space. Everything is part of the whole. According to them this is where we are. Letting that old man in. The next generations are said to live longer once these objects right themselves. I'll watch anything Clint is in. And I'll listen to anything Toby records. Well (and in good humor), let me say this about that. In 1962, Walter Brennan did a song called "Old Rivers". It was a song about an old man, and it was sung by an old man. There was a lot more instrumentation in it, and it even had a chorus singing in the background. Nobody had any trouble hearing the singer in that one, then...or now. For a more contemporary example with the same sort of big-production backing, listen to Johnny Paycheck's "Old Violin". Every word comes through on that one, too. Since you brought it up Donny, I listened through different media. The dynamic range is different among the three songs. Toby's being a more recent recording is bass heavy with lower frequency drone information. If you listen with basic earbuds, Toby's voice sticks out more as the lower frequencies get lost a bit and don't crowd the vocal. The low drone drops and the guitar thins out leaving the vocal more prominent. Using a reference set of ear-covered headphones, we get the lower vocal you're mentioning with some words being indiscernible. Guess if we were at the studio during mixdown we would say turn up the vocals. In fact I would've asked Toby to redo the "ummm-umm-ummm" before the last bridge and then the "don't let the old man in" lines on a few of them including a few other words. But today's playback devices are most likely going to be a cell phone with tiny buds for speakers. Hard to know if the movie track mix is different from the music video track without having the movie to compare it with as is usually done with songs, different mixes for different media. Venture a wild unsolicited guess, Toby, being a published actor, was thinking of the movie (with more than likely Foley ongoing including loud theater surround sound volume) when he recorded this and left the rough takes in as a treatment effect of not being spot-on perfect in pitch and melody and that the imperfections would get covered up by the movie's audio. To get that tired old man effect to match the movie scenes? Rock mixes for example are purposely left with the vocals down in volume because they don't want just anyone getting the lyrics. That and they expect you to turn the volume up to hear the vocals which then heightens the music "size" to skyscraper level. In 1962, Walter Brennan did a song called "Old Rivers". That mule. Old Rivers. And me. I have to agree with Donny that the vocal is somewhat diffuse. The medium is the massage and all that, so it must be his image of 'old' that's not necessarily accurate. I'd rather hear the words up front without excuse, even if it's someone I know I'd disagree with politically, without excuse. I think I would have bought it with Eastwood doing the vocal. Sometimes singer-songwriters should just be songwriters. Like this time. Well,It's Just The MULE. I guess we can't get any respect any where any more by being what a story line is. ..... <> I'm still getting kicked around for being myself even in my own Chocolate City. .... Oh when the Saints can't even win honest playing. ... That a song called " Stealing the Souls " that I wrote at Fats Domino's front yard. .....<> Now we got the 9th ward blues with Rams in our eyes for Corruption in The MULE...... <> SwampWater Fox who ain't gonna stop.